Mostly on narrow lanes but with one very small section on the A685 Tebay road - 13.8 miles, total climb 1800 feet. A pleasant and varied ride, taking you under the Lowgill Viaduct and over the historic Crook of Lune Bridge (see photos below). 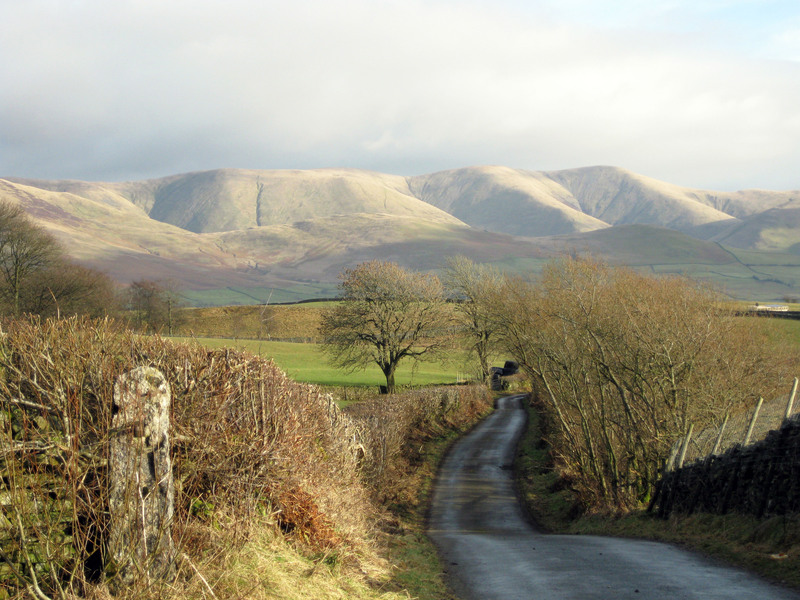 Mostly on narrow lanes but with one very small section on the A684 Sedbergh road - 15.5 miles, total climb 1625 feet. 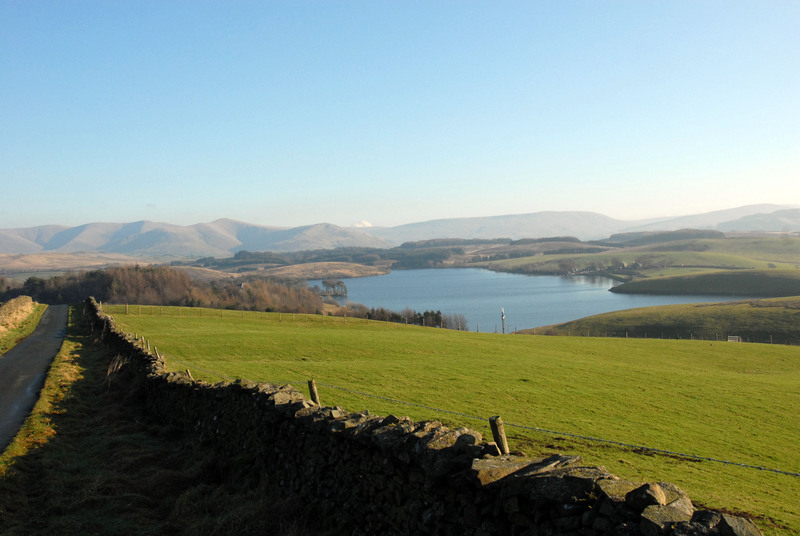 A lovely ride to find a hidden reservoir, taking you over and then parallel with the M6 along The Old Scotch Road to a circuit of Killington Reservoir - a hidden gem (see photos below). 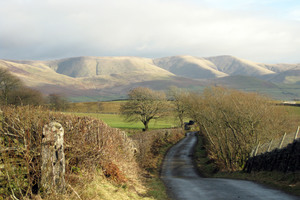 Mostly on narrow lanes but with one very small section on the A685 Tebay road - 13.5 miles, total climb 1750 feet. 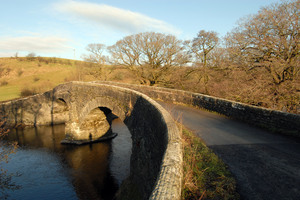 A panoramic and rewarding ride, taking you first to Fisher Tarn then around Benson Knot and along Paddy's Lane with fine views over Kendal. The last section from Mealbank by the river Mint is just beautiful albeit a little hilly (see photos below). 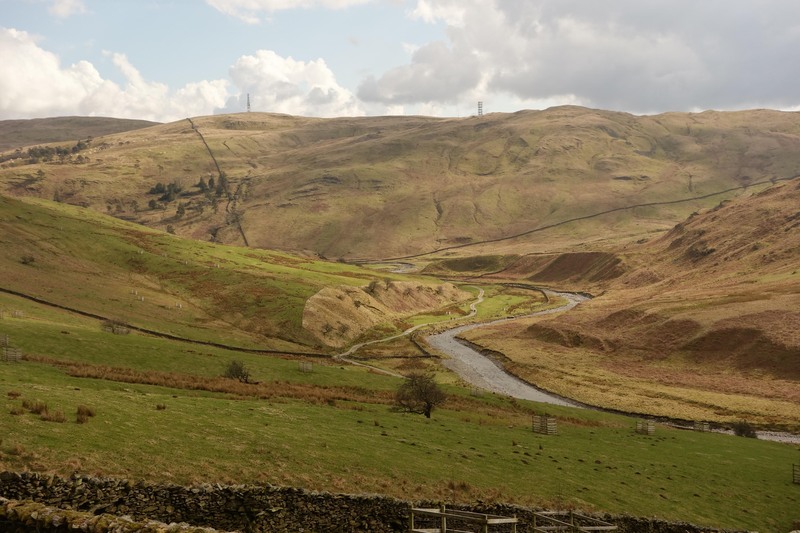 A mixture of narrow lanes and bridleways but with one very small section on the A685 Tebay road - 18.4 miles, total climb 2300 feet. 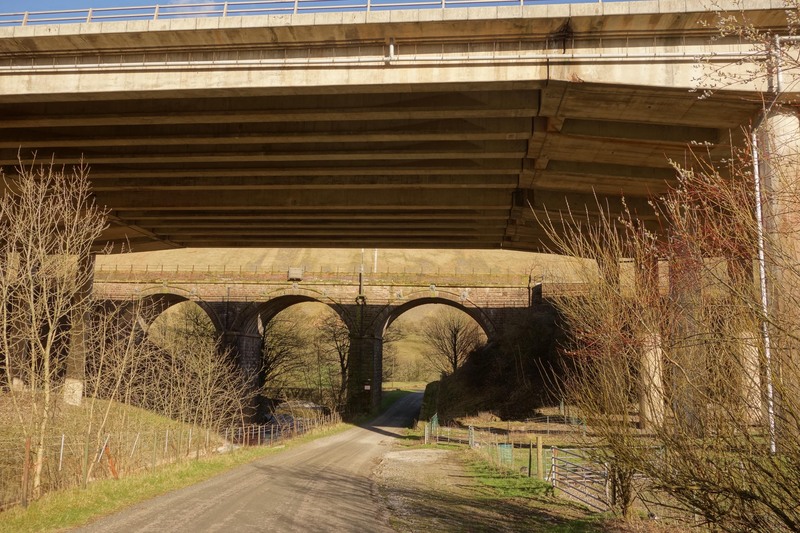 A varied, challenging and most rewarding ride in 3 main sections, the first which takes you on narrow lanes to the North West end of Borrowdale. 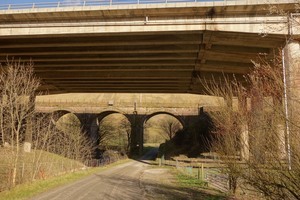 The second stage is down the quiet, secluded and picturesque Borrowdale Valley over bridleways which turn into gravel tracks before emerging at the South East end. 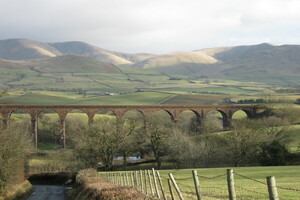 The last section takes you under the M6 and mainline railway along the Lune Valley via Howgill Lane, over the Crook of Lune Bridge and under the Lowgill Viaduct (see photos below). 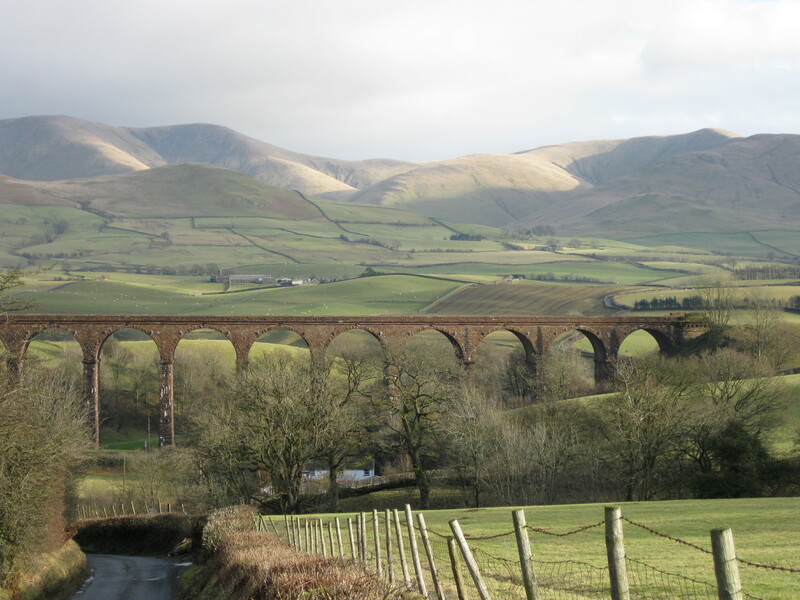 The Hyning Estate's "Borrowdale Challenge"
For those who only cycle occasionally many of the routes will feel challenging so start with some of the easy, shorter routes around the coast & lakesides. The four example routes above (startng from The Hyning Estate) are all relatively straightforward but may be challenging in terms of distance and / or total climb with the most challenging being Ride 4 through Borrowdale (not to be confused with Keswick's Borrowdale). As an added incentive all guests completing this ride can claim a complimentary drink from The Patio@Reception (coffee / beer or soft drink) including any "enthusiasts" who whilst finding it very straightforward will enjoy the ride and who should go on to complete The Bowderdale Classic (no prizes for this one, but the rest of us will be in awe) - see the video here. Find out more about Rides 1-15, a joint collaboration with our Guests here.